Finley,16 mos. 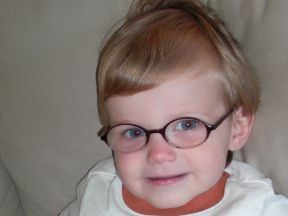 He got his glasses at 13 mos for farsightedness. He is brother to Emerson, pictured below.